William Windham speaking in Norwich against war with the American colonists. Pen and ink drawing by Humphrey Repton, now at Felbrigg Hall. Many Groups in Britain Opposed Fighting With the American Colonies. This Was Especially True in the East Anglian Counties of Norfolk, Suffolk and Essex. I have noticed in recent weeks a little spate of posts by our friends across the Pond on the topic of the outbreak of the American War of Independence. It therefore seems a good time to explore how far the British people and their leaders were united in opposing American wishes. The answer is, not very far at all, especially in the part of England where I live. It isn’t very surprising that there was a broad sympathy in these areas towards the American colonists in their complaints about government treatment. East Anglia was the heartland of Parliamentarianism in the English Civil War (Oliver Cromwell came from Cambridgeshire). It was also the part of England where Puritanism flourished perhaps most strongly during the sixteenth and seventeenth centuries, in part due to the large number of Calvinist Huguenots who settled in Norwich and its environs to engage in the cloth trade for which the area was already famous. And when Charles I and his henchman Archbishop Laud tried to enforce Anglican uniformity on an unwilling kingdom, it was from Norfolk in particular that the greatest immigration took place to the colonies of New England. Even under George III, many families in the area would have relatives living in the American Colonies. The same paper reported on September 9th of that year that a proclamation had been read in the market place in Ipswich declaring the Americans to be in open rebellion and forbidding anyone from carrying on further correspondence with them. Of course, this not only proves that links with the Americans colonists were strong in the area, but also suggests the authorities feared what might result if the effects of their policy of forceful subjugation were reported in full locally. … unjust in its principle, impracticable in its means and ruinous in its consequences. Horace Walpole, part of that mighty Norfolk clan made famous by his father, Sir Robert Walpole, wrote that he believed the king had provoked rebellion in the American colonies deliberately so that he could crush them by force and subject them to his total tyranny; all as a prelude to using the return of a victorious army to destroy England’s liberty as well. British opinion remained deeply ambivalent about the war, so it is hardly surprising that, after drawing in France, Spain and Holland against them and suffering an ignominious defeat at Yorktown, King George’s government was forced by parliament to renounce any further efforts to subjugate the American colonies by force. Sadly, King George III was pig-headed to an extreme degree, as well as being extremely touchy on any subject that he felt infringed on his royal prerogatives. And since no one ever accused the Hanoverian monarchs of being intelligent, this combination of determination, narrow-mindedness and plain stupidity, coupled with a woeful inability to appoint competent generals to important commands, was bound to lead to disaster. As early as April 1768, Sylas Neville – then a young man living in London, but later to be successively a minor Norfolk squire and a physician in Norwich – noted that his friend Timothy Fleming had told him that Lord Bute, the prime minister, and Lord Greville were planning to send bishops to America to enforce a proper Anglican hierarchy there. But as the body of the people in America are much more virtuous and understand the nature of Liberty better than the body of the people here and have men capable of leading them, he hopes they will die bravely with their swords in their hands rather than submit. On my comparing [King] George’s foolish mind to a sheet of blank paper, Mr. H[ollis] said ‘It is rather very blotted paper.’ But I meant the state of it when his infamous mother and her paramour, Bute, began to teach him their principles … My heart bleeds for the poor Americans, who, if they have not defended themselves are now suffering the most cruel oppression. O Being of infinite justice & infinite mercy, overthrow that corrupt tyrannical detestable Govt: under which every part of this empire groans & restore to the people their native rights! I learn from him that the Americans consider the restrictions upon their Trade as more than equivalent for their contribution towards the general support of the Empire. This view did not occur to me before, but I think it is a just one. Once more Calves head – punishment of tyrants for ever. The glorious principles of this day have just established the liberties of the United States on a foundation, which the powers of oppression can never shake. The Whigs generally opposed government policy in America, to the extent that it was said that George III conceived a violent hatred for their leader, Charles James Fox, and worked to exclude him from any government position he could. In Norfolk, all the great families were Whigs, though not all were close supporters of Fox. However, William Windham of Felbrigg Hall in Norfolk, later to break with Fox and become a cabinet minister under Pitt, felt strongly that the American War of Independence was wrong and unnecessary. 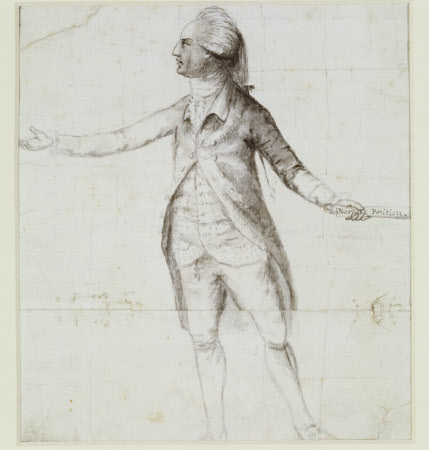 He told Richard Brinsley Sheridan in early 1778 that “I never felt so much disposition to exert myself before”. On 28th January, 1778, Windham delivered his first major political speech at Norwich, in which he spoke against the war, following this up by writing a remonstrance against it which was signed by 5,000 people and presented to the House of Commons. Thomas Coke of Holkham Hall, later to be 1st Earl of Leicester, was also a close friend of Charles James Fox, as well as William Windham. When Coke was elected to Parliament in 1776 as one of the members for Norfolk, he joined Windham in his support of the American colonists during the American Revolutionary War. Similarly, Thomas Townshend of Raynham Hall, Norfolk, later 1st Viscount Sydney , spoke frequently in the House of Commons against the American war. Of course, the most famous Norfolk supporter of the American Revolution was Thomas Paine, who was born in Thetford in that county on 29th January, 1737, Norfolk in England, the son of a Quaker. He failed at most endeavours until, in 1774, he met Benjamin Franklin, who advised him to emigrate to America. His most famous books, Common Sense and The Age of Reason were vilified by the British establishment, but circulated widely anyway. Never one to duck a fight on behalf of what he saw as liberty, Paine became involved in the French Revolution, being briefly imprisoned by Robespierre but staying in France until 1802. Back in the United States, he discovered his time had passed and he was either ignored or vilified for his Deist religious views, dying in obscurity and poverty in 1809. Time has raised his status immeasurably and there is no doubt of the impact and longevity of his views on both sides of the Atlantic. It is hard to judge what ordinary British people thought at that time, mostly because no one asked them or took note of their opinion. The British press, then the freest in the world, was divided on the issue, though it tended to become more hostile to America as the war progressed. There’s no doubt many people feared, rightly, that France and Spain would try to use Britain’s involvement in an American war to advance their own interests. There was also concern about Canada and the treatment of loyalists by the American Patriots. America didn’t always help itself in any of these areas. We know today that America did not repay French help in any serious way during the subsequent war between Britain and Revolutionary and Napoleonic France. At the time, the fear that an independent America would use its resources to aid Britain’s enemies must have seemed far more real. Of course, there were papers and magazines that supported the king, but the general picture in Norfolk and the rest of East Anglia is one of considerable dislike of royal policy towards America and a sense that the whole war was an unnecessary and mistaken piece of folly. Norfolk Chronicle, 7th September, 1776. Ipswich Journal, June 17th, 1775. William Savage lives near the beautiful North Norfolk coast in Eastern England and writes historical mystery novels set in Norfolk between 1760 and 1800. The first book in the series, “An Unlamented Death“, appeared in January 2015. A second book, “The Fabric of Murder” will be published on May 1st, 2015. Will is also a local historian. In that guise, he researches topics relevant to the general period of his historical writing, gives talks to local groups and societies and is a regular volunteer guide at a nearby National Trust property. He finally has time for doing all this now he has retired. Independent researcher and author of mystery stories set in Georgian Norfolk. This entry was posted in C18th Norfolk, Politics. Bookmark the permalink. A new investigation is the last thing that Dr Adam Bascom wants. He’d much prefer to devote himself to sorting out his future. But when a kindly surgeon living on the edge of Aylsham is brutally murdered, and the local coroner does all he can to bring in a verdict of accidental death, Adam knows he has no choice. At first, a grave shortage of direct evidence and the reluctance of the locals to talk freely to someone so far above them socially look set to prevent any progress. Still, Adam persists, drawing on whatever help he can muster from friends and contacts. Even so, progress is slow until more help arrives in the unexpected form of the surgeon’s former housekeeper, Rose Thoday. Can our young doctor accept collaborating on equal terms with a mere woman? What will upper-class society — and Lady Alice — think of him if he does? Adam must grapple with much more than the dispassionate mental challenges he’s been used to. This time, he’s up against against a conspiracy of clever, desperate and ruthless men. All face the gallows if they are brought to justice. One at least will not hesitate to kill again to save himself. This is a contest which may very well cost Adam and Rose their lives.